Melan Blue from Brigadoon is a pretty underappreciated character and VA Performance from Otsuka-san. He has been in a lot more roles than this list lets on. I have heard him in a few 90s anime. I am watching the Patlabor TV series from 89 and hear him. Satou, Tsurumi and now Kimetsu no yaiba, always recognizable and always amazing, love your roles! His Yanagihara is probably one of the best performances i've ever seen by a voice actor. Absolutely powerful. That's why the most impressed of the dubbing work from his voice acted ANDY in THE SHAWSHANK REDEMPTION! And more more dubbing foreign works with surprise me for non-stopping. Too appreciate with him! 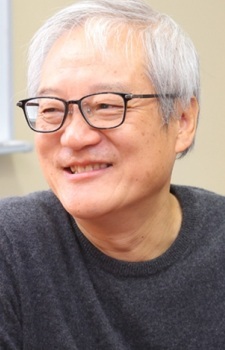 By the way, until now, he's only seiyu who worked with Hayao Miyazaki and Takeshi Kitano(The dolls, live-action acting). Satou, Haruya, Akira and Norio, Ni,Jiraiya, Z, and Tsurumi... Wow... just wow.